"We believe that the stance of the European Commission was counterproductive. In fact, the European Commission not only provided no help in implementation of [the South Stream pipeline], but, as we see, obstacles were created to its implementation. Well, if Europe doesn’t want it implemented, it won’t be implemented,” the Russian president said. “We’ll be promoting other markets and Europe won’t receive those volumes, at least not from Russia. We believe that it doesn’t meet the economic interests of Europe and it harms our cooperation. But such is the choice of our European friends,” he said. The South Stream project is at the stage when “the construction of the pipeline system in the Black Sea must begin,” but Russia still hasn’t received an approval for the project from Bulgaria, the Russian president said. Investing hundreds of millions of dollars into the pipeline, which would have to stop when it reaches Bulgarian waters, is “just absurd, I hope everybody understands that,” he said. 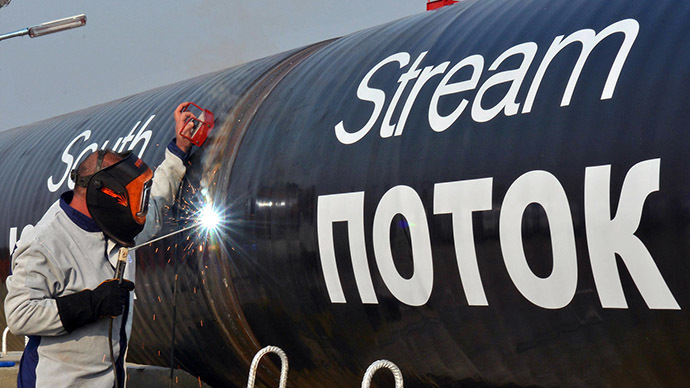 Putin believes that Bulgaria “isn’t acting like an independent state” by delaying the South Stream project, which would be profitable for the country. He advised the Bulgarian leadership “to demand loss of profit damages from the European Commission” as the country could have been receiving around 400 million euros annually through gas transit. 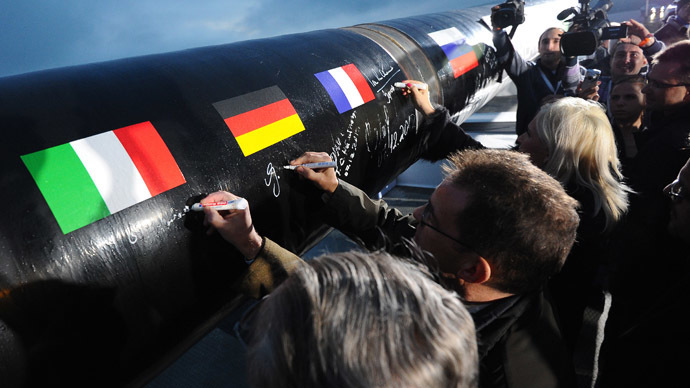 The South Stream was intended to transport Russian gas through the Black Sea to Bulgaria – and through Serbia, Hungary, and Slovenia, further to Austria. Russian gas giant Gazprom began construction of the onshore facilities for the pipeline back in 2012. But the €23.5 billion project ran into difficulties, as it violated European Union regulations which state that the same company cannot both own the pipeline and the gas which is transported through it. The crisis in Ukraine has turned the legal debate over the pipeline into a political issue, affecting the EU’s willingness to find a solution to the deadlock. The EU Commission has been pressuring member states to withdraw from the project, with the new Bulgarian government saying it will not allow Gazprom to lay the pipeline without permission from Brussels. Putin said that Russia is ready to build a new pipeline to meet Turkey’s growing gas demand, which may include a special hub on the Turkish-Greek border for customers in southern Europe. 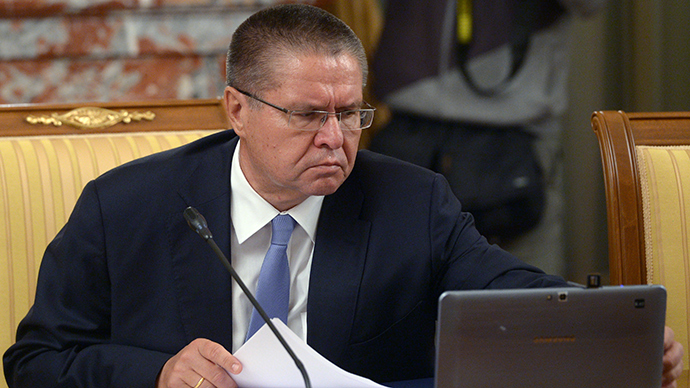 For now, the supply of Russian gas to Turkey will be raised by 3 billion cubic meters via the already operating Blue Stream pipeline, he said. 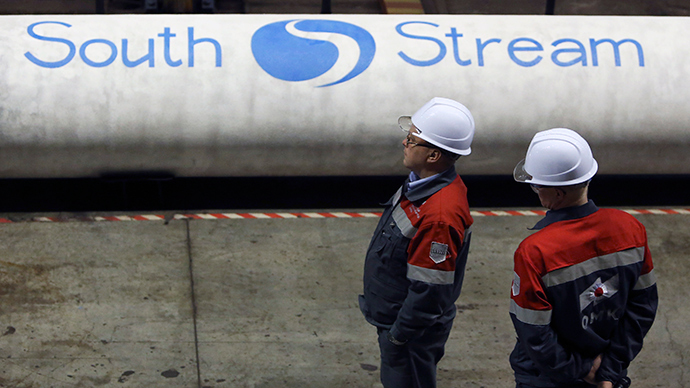 Last year, 13.7 bcm of gas were supplied to Turkeyvia Blue Stream, according to Reuters. 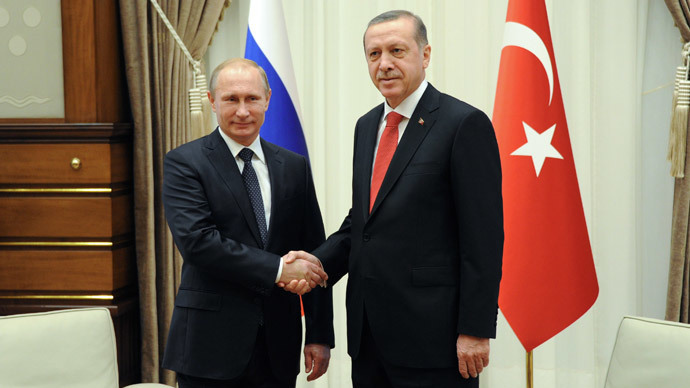 Moscow will also reduce the gas price for Turkish customers by 6 percent from January 1, 2015, Putin said. “We are ready to further reduce gas prices along with the implementation of our joint large-scale projects," he added. The Russian president has said that Turkey is an important participant of the peace process in Syria, outlining the many similarities that Moscow and Ankrara have regarding the issue. "We share a common opinion that the situation in Syria can’t be considered adequate, we share a common opinion that we don’t want to allow chaos in the region and the strengthening of terrorist organizations like it happened in Iraq," he said. According to Putin, it is important to create the conditions under which all citizens of Syria will feel safe and have equal access to governance. “We certainly need to find an acceptable solution – first of all, acceptable for the Syrian people and all political forces in the country. And, definitely, we’re going to stay in contact with all participants in this process, including our friends in Turkey,” he stressed. However, the sides still disagree on the future of Syrian President Bashar Assad, which Ankara wants removed from power. "We sincerely expressed our attitude towards this [Assad's] regime. Mr. President has another stance on the issue. But in general, we have reached a certain agreement on [the] resolution of the Syrian conflict,” Turkish President Recep Tayyip Erdogan said. “The only thing that we were unable to agree on is the way to resolve the crisis," he added. A civil war between Syria's government forces and the Islamist opposition has been raging in Syria since 2011, taking over 200,000 lives, according to UN estimates.